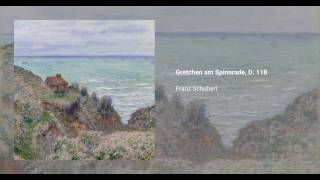 Franz Schubert wrote the song Gretchen am Spinnrade in 1814. It is based on a fragment of Goethe's Faust, and dedicated to Moritz von Fries. The work, published in 1821 and catalogued as Op. 2 (and D. 118), helped reintroduce the German lied into the musical scene. The original version was written for soprano, though many adapted versions for many different voices are available.